Step back in time 2500 years to the world of the ancient Greeks. Discover how archaeologists have uncovered and analysed ruins, pottery, coins and other artefacts to piece together the fascinating world of these ancient people. Join athletes and supporters at the Olympic Games. Take part in a political debate and vote with the citizens of Athens. And learn how Greek art,literature, architecture, philosophy and many other aspects of ancient Greek culture have shaped our lives today. 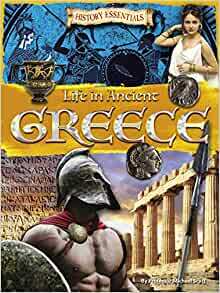 This book supports the History Key Stage 2 Learning Objectives: Ancient Greece - a study of Greek life and achievements and their influence on the western world. Prof Michael Scott is a professor at Warwick University and has recently presented a BBC2 programme Ancient Invisible Cities.